There is however one very important aspect for B2B marketers to keep in mind before heading down this path: If you don’t already have an audience, focus on that before trying to build a profit center around your content. What pain point can I solve for my reader? Where is our sweet spot in terms of knowledge/value? But that’s where they stop. And if we’re being honest, chances are that if most companies did an audit of their content against their competitors, it would be hard to tell the difference between them. The concept of the content tilt is taking your content planning and creation one step further to determine an area of little to no competition on the web where you can break through and tell a different story. Most companies have a defined mission for their organization as a whole, but not for their content marketing programs. Defining your content mission is an incredibly useful exercise that can be referenced if you’re wondering if a particular piece of content aligns with your business goals. One of the key metrics marketers always have a pulse on is their network size. This number is usually a combination of social media networks, email lists, blog subscribers and more. However, all of these networks are not created equal. Recent research has found that less than 1% of a brand’s audience on Facebook actually see the messages that you publish. And that number will only continue to fluctuate because you don’t have control over the platform. Email subscribers however are content marketing gold. Why? These consumers have given you one of the most coveted things in the business world, their email address. People today are hungry for knowledge. And, they want it when they want it in a way that is convenient for them. Online trainings are a fantastic way to share your content with a large audience in a way that can also be quite profitable. One pro tip from Joe when implementing an online training program is to create a sense of urgency by not allowing open enrollment, but instead having a deadline or semesters where people can sign up. Once you build the platform, leverage the community inside and outside your company to draw people to your trainings. Content Marketing Institute has a well-developed process for how their sponsor relationships work. Sponsors know that based on the amount that they pay, they will have access to CMI’s audience in very specific ways. It’s important to limit your online inventory so that your readers still have a great experience. In 2009, Content Marketing Institute and MarketingProfs decided to begin collaborating on a leading content marketing research report (because they identified the need for one). Since then, these yearly reports have become the authority on everything content marketing for both B2B and B2C brands. I know our team at TopRank Marketing has referenced these reports through the years to provide insights into current industry trends. And we’re not alone. 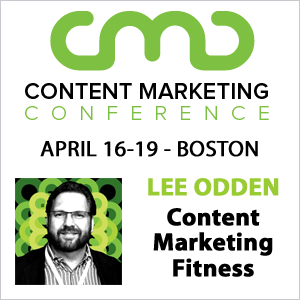 Joe shared that one of their content reports from last year has over 50,000 inbound links to that one piece of content alone. Original research is another great way to utilize a sponsor to help cover the costs (and even generate a profit) for the content. Start Generating Revenue From Your Content! If you want to change the perception of your marketing department from a cost center to a profit center, then these insights should give you a running start. But remember that in order for these tactics to be successful, you must have an audience in place already. For more insights from the MarketingProfs B2B Marketing Forum, follow our team on Twitter at: @TopRank, @leeodden, @azeckman, @amywhiggins, @leiladlf, and @CaitlinMBurgess.